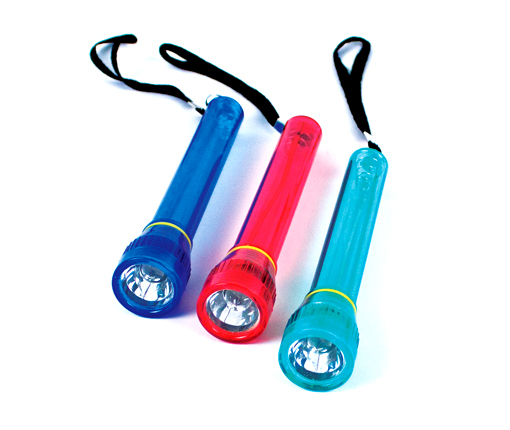 Product Description: Sleek and unique-looking with its translucent body, this high-beam flashlight is perfect for the distributor looking for a traditional, inexpensive hand held flashlight. Features include a wrist cord attachment for easier handling, as well as a twist function to turn the light on and off. Measures 6″ and requires 2 AA batteries (not included).